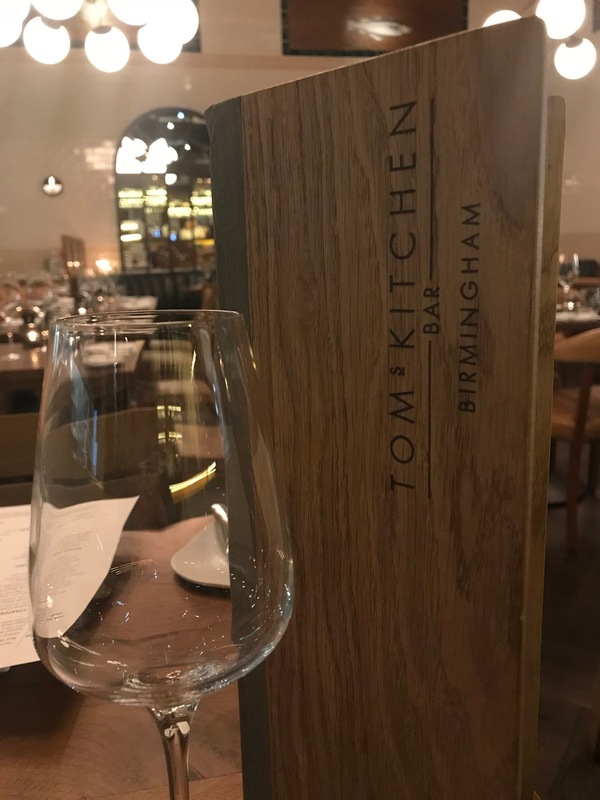 Since Tom's Kitchen arrived in Birmingham early last year, I have fallen in love with it a little bit more every time I have visited. Recently, I headed back for my fifth visit to experience the restaurants Spring/Summer menu and it was the ultimate treat. 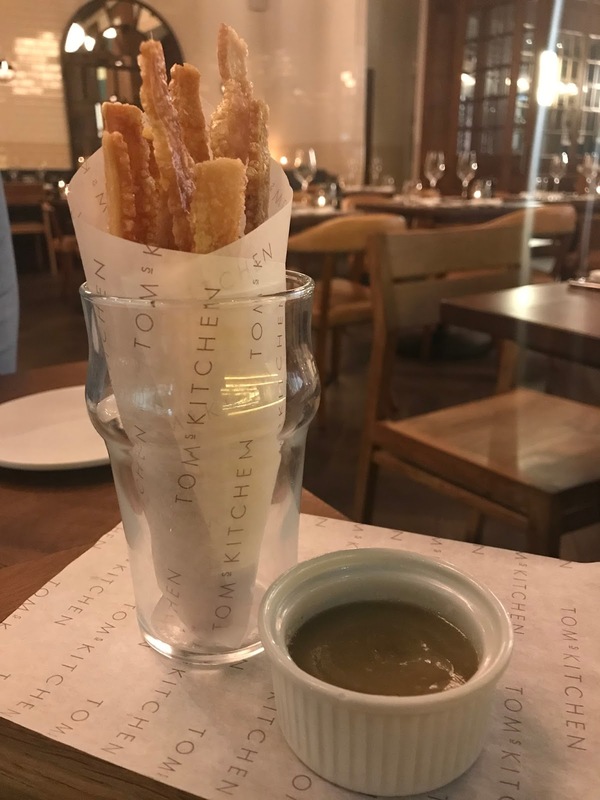 With a relaxed vibe, fantastic flavours and excellent service, Tom's Kitchen is like a fine wine; it just keeps getting better. 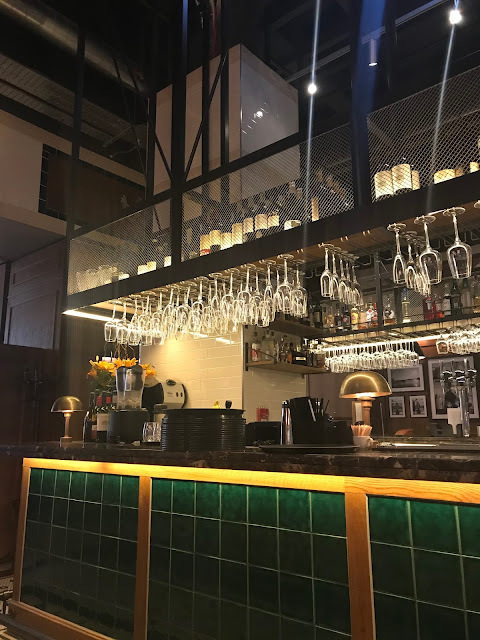 Sitting in The Mailbox in Birmingham city centre, Tom's Kitchen boasts sleek and elegant decor and I always appreciate how the restaurant has been designed in such a timeless style. 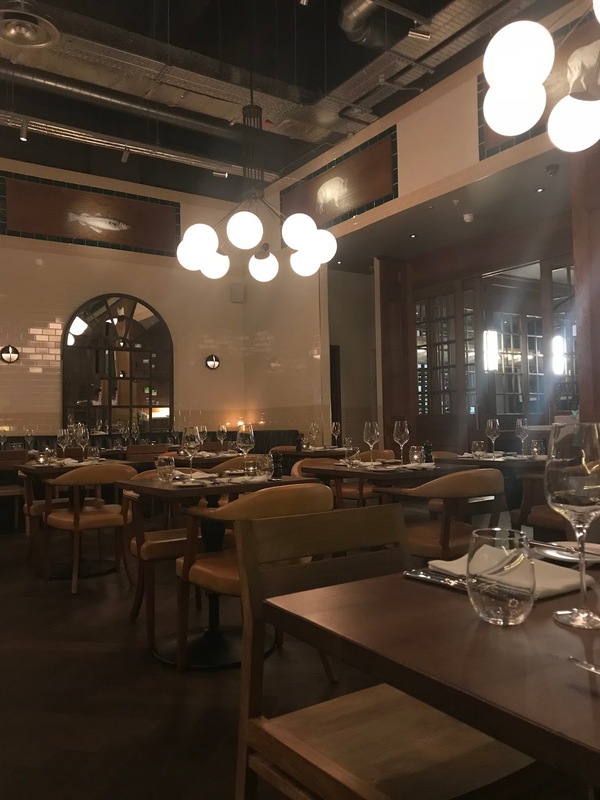 I headed there on a miserable Monday evening, but the huge smiles on each worker upon arrival was a warm welcome and I was shown to my table. Being a work night, me and my guest chose to stick to soft drinks and the water provided before taking a good look at the new menu. The Spring/Summer menu is full of flavours, with lots of fresh, fun options available. We started off with a dish to share 'for the table' and we chose the Crispy Pork Skins, which were a great start to the meal, which came with a delicious smoked apple puree. 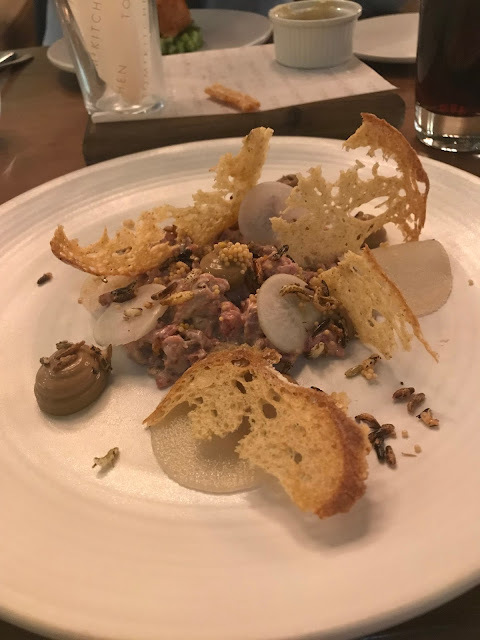 For starters, I chose to try something I have never had before; Steak Tartare, The dish came with black garlic mayo, turnips, puffed rise and mustard seeds. It was absolutely delicious and I was shocked that I hadn't tried it before! The combination of flavours was simply beautiful. 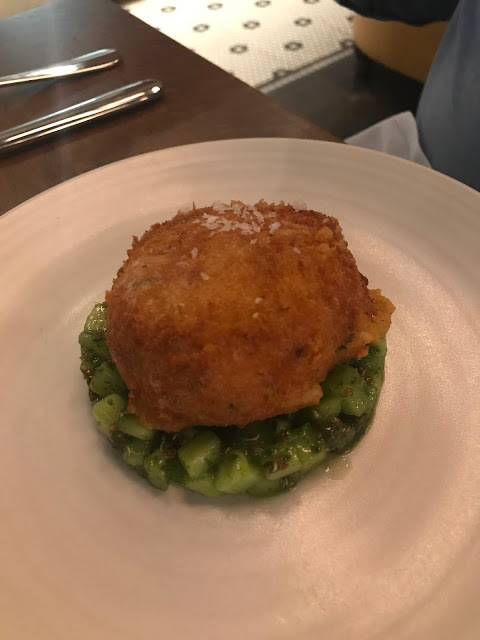 My guest opted for the Spicy Devonshire Crab Cake which came with cucumber and quinoa salsa, which was also super tasty. The mains menu was an incredibly difficult one to choose from; with Steamed Mussels, Lamb Hotpot and Fish and Chips on the menu, I was back and forth for a while just choosing what to have. I eventually went for the Roast Shetland Salmon, and there were no regrets. The dish comes with cous cous, chorizo, squid, clams, mussels and saffron sauce. I absolutely love seafood dishes, and this was the best I'd had in a long time. 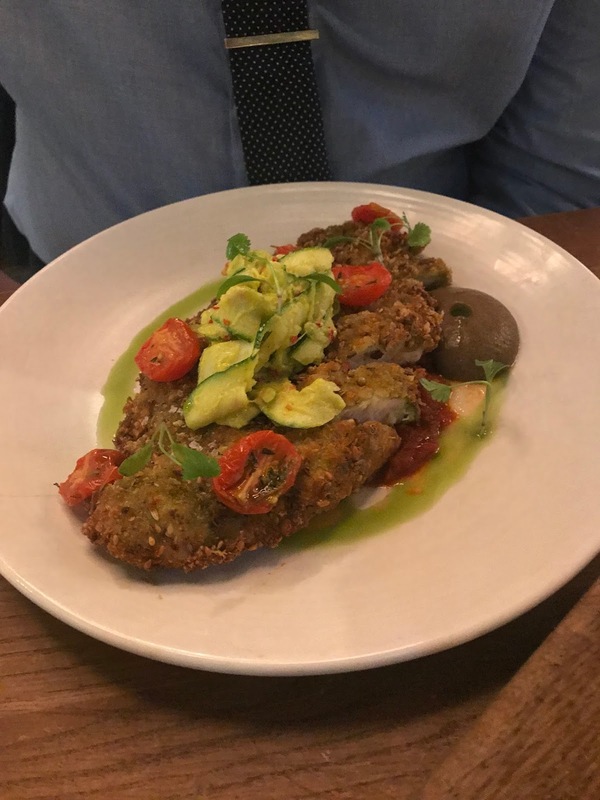 My guest chose the gorgeous Chicken Schnitzel, which came with dukkah courgette, aubergine puree, cashews and tomato sauce which was also very much enjoyed. 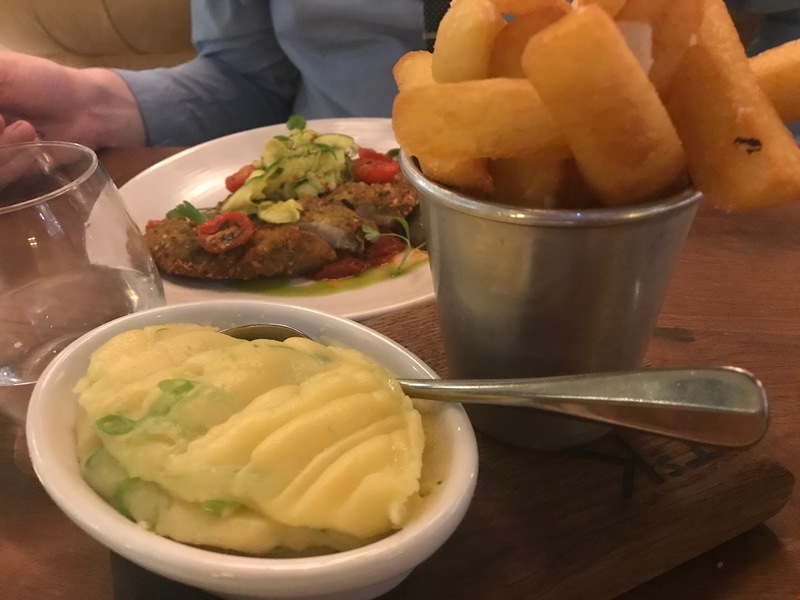 For sides, I went for the super smooth Spring Onion Mashed Potato, and my guest went for Triple Cooked Chips which came topped with truffle and parmesan. I'm not always a dessert kind of girl, but after seeing the selection on the menu, I couldn't turn one down. 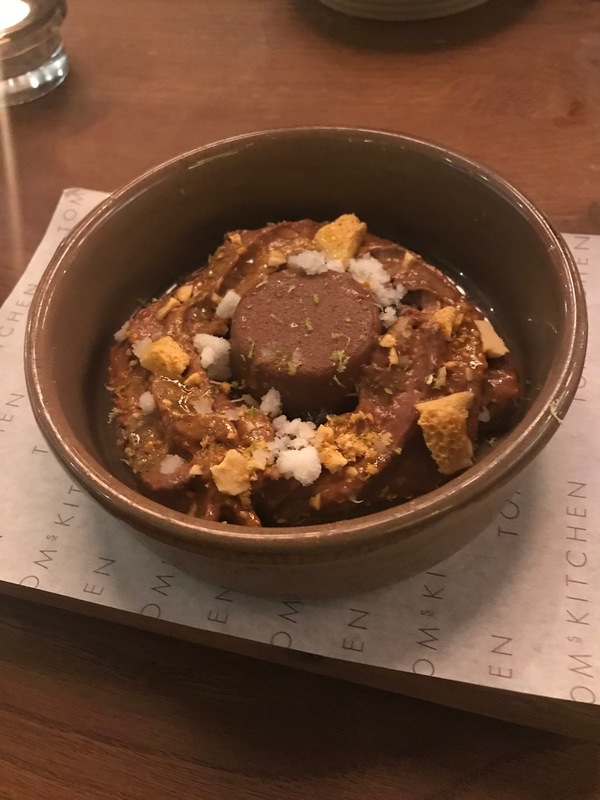 I fancied a light dessert after a super filling meal, so I went for the totally gorgeous Chocolate Mousse, which came with honeycomb, lime granite and lime jelly, which took me back to my favourite childhood dessert - with an adult twist! 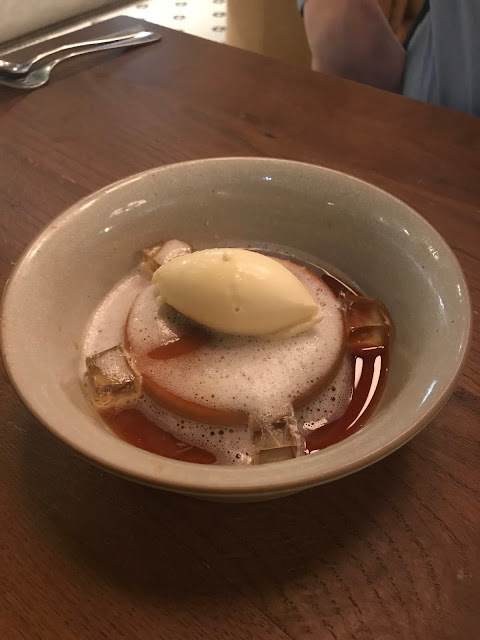 My guest went for Creme Caramel which came with honey ice cream and honey, which was a refreshing end to the meal. One thing I have always admired about Tom's Kitchen is the super relaxed vibe and how spacious it is. Admittedly, it was a Monday evening, so it was never going to be a packed restaurant. 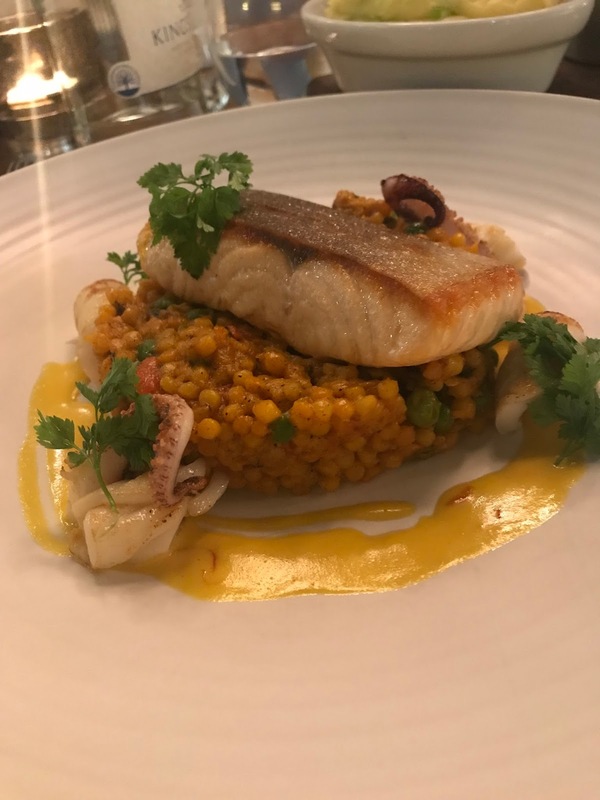 But I have also been in the restaurant on Friday and Saturday evenings in previous visits, and can confirm that it never feels too busy and rushed. In fact, the staff at the restaurant are incredibly polite and can't do enough for you. The restaurant is on the pricey side, but is reasonable for the quality of the food and drink, as well as the service. 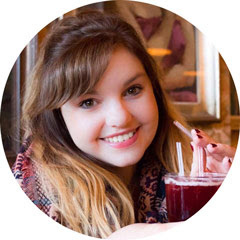 In my eyes, it is the perfect place to head to for a celebration meal, or if you just fancy treating yourself and enjoying some incredible food. Even after my fifth visit to the restaurant, I still absolutely love it, especially with a wonderful Spring/Summer menu!